Who are the Strengthening Ministries Training Institute Faculty? All the teachers at Strengthening Ministries Training Institute are in the process of finishing off their Masters of Arts in Biblical Counselling (MABC) and certification with the Association of Certified Biblical Counsellors (ACBC). They are doctrinally aligned with the 1689 Baptist Confession of Faith and committed to the sufficiency of Scripture in helping their students discover God’s answers to life’s problems. 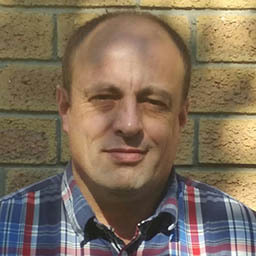 Sybrand de Swardt is Pastor of Lynnwood Baptist Church in Pretoria where he serves with Dr Mack, and is the Director of SMTI. Pastor Sybrand has completed his MA in Biblical Counselling from The Master’s University in Santa Clarita, California and is in the process of doing research for his PhD at the North West University. He has both taught extensively on counselling related issues at SMTI as well as done extensive counselling. Joshua Mack is the Pastor of Living Hope Church in Pretoria, South Africa. He also teaches at the African Bible Training Centre (ABTC) and serves as the Executive Director of 1Hope4Africa. He has co-authored several books such as Courage: Fighting Fear with Fear and A Fight to the Death: Taking Aim at the Sin Within and is the author of Compassion: Seeing with Jesus’ Eyes. He received his MA in Biblical Counselling from The Master’s University in Santa Clarita, California, M. Div from The Master’s Seminary in Los Angeles, California, and D. Min from The Southern Baptist Theological Seminary in Louisville, Kentucky. 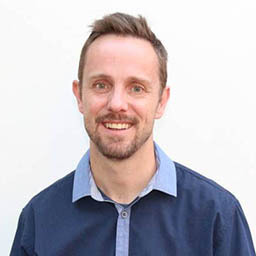 Jim Newheiser is currently the Director of the Christian Counselling Programme as well as the Associate Professor of Counselling and Practical Theology at Reformed Theological Seminary in Charlotte, North Carolina. He is both a Certified Counsellor, Fellow, and Board Member for The Association of Certified Biblical Counsellors (ACBC). He is presently serving as a Council Board Member for The Biblical Counselling Coalition, and he was formerly a Board Member with the Fellowship of Independent Reformed Evangelicals. Jim received his BA in Business Administration from Baylor University in Waco, Texas and then both his MA and D. Min from Westminster Seminary in Escondido, California. 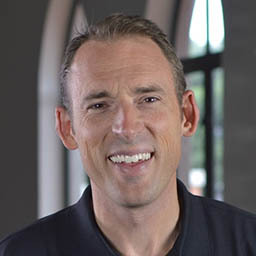 Jim has served in the position of Pastor or Youth Leader/ Director at Grace Bible Church in Escondido, California, Calvary Covenant Church in Poway, California, International Christian Fellowship of Jeddah in Saudi Arabia, Believers Chapel of Dallas, Texas and Central Baptist Church of Waco, Texas. Jim’s teaching experience includes international training trips to Korea, India, Spain, Germany, Qatar, Oman, Nigeria, Mexico and the Philippines. He has served as a lecturer in preaching and assistant to the director of the D. Min program at Westminster Theological Seminary in California. Jim has served at the Institute for Biblical Counselling for 24 years and has been the director there for the past 12 years. Jim is an adjunct professor in the Biblical Counselling department at The Master’s University in California. 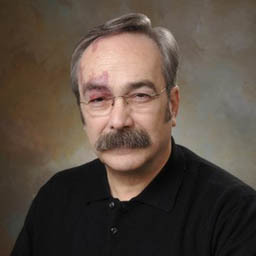 Jim has written or contributed to 16 publications including numerous books in the Help! Mini series through Shepherd Press, several books on parenting such as When Good Kids Make Bad Choices, You Never Stop Being a Parent, and Parenting is more than a Formula. His most recent work was published through P&R Publishing and is entitled Marriage, Divorce and Remarriage—Critical Questions and Answers. Jim has also contributed to The Journal of Biblical Counselling, The Journal of Modern Ministry, Men Counselling Men, Christ Centred Biblical Counselling and Biblical Counselling and the Church. Jim has been married to his wife, Caroline, since 1979 and they have three adult children. Tedd Tripp is the President of a non-profit organisation called Shepherding the Heart Ministries. 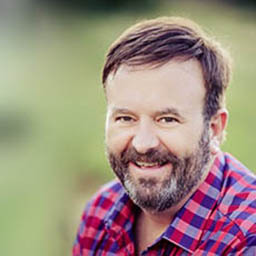 Tedd has both developed and taught materials for this ministry and is known around the world for his best-selling child rearing book, Shepherding a Child’s Heart, and as the presenter of Shepherding a Child’s Heart Ministries. 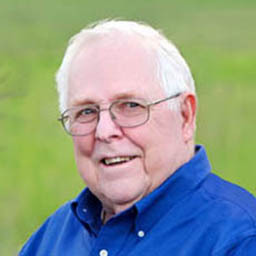 Tedd Tripp is Pastor Emeritus of Grace Fellowship Church in Hazleton, Pennsylvania, where he served from 1980 until 2012. Tedd was married to his wife, Margy, in 1968; they are parents of three adult children and 9 grandchildren. Tedd is also the author of A Parent’s Handbook for Shepherding a Child’s Heart, Hints for Parents, and with his wife, Margy, Instructing a Child’s Heart. Dr. Tripp received his BA from Geneva College in Beaver Falls, Pennsylvania, his M. Div from Philadelphia Theological Seminary in Philadelphia, Pennsylvania and his D. Min from Westminster Theological Seminary in Glenside, Pennsylvania. 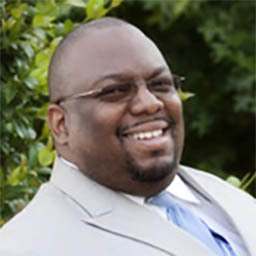 Nicolas Ellen is the Senior Pastor of Community of Faith Bible Church and a Professor of Biblical Counselling at the College of Biblical Studies, both in Houston, Texas. He has served in full time ministry as a Christian Education Director, Associate Pastor, Assistant Pastor, and Senior Pastor for the past 19 years also in the Houston, Texas area. He has developed a biblical counselling training center called Expository Counselling Center, LLC. Dr Ellen received his BA in Business Administration from the University of Houston, Houston, Texas, his MA in Christian Education from Dallas Theological Seminary, Dallas, Texas, his MA in Biblical Counselling from The Master’s College, Santa Clarita, California and a D. Min in Biblical Counselling from Southern Baptist Theological Seminary in Louisville, Kentucky and he is also currently enrolled there as a PhD student in Biblical Counselling. Dr Ellen is a certified Biblical Counsellor with the Association of Certified Biblical Counsellors (ACBC) and travels nationwide with the organisation teaching biblical counselling principles. In addition, he is also a Senior Member of the Biblical Counselling Framework Association. Dr Ellen teaches on a morning show called “Up With The Son” where he teaches various topics from God’s Word. Pastor Ellen has authored books such as Coming to Know and Walk with God, So You Want to Get Married, Happy Even After, Pursuing Godliness Through the Disciplines of the Christian Faith, With All Your Heart? Identifying and Dealing With Idolatrous Lust, Understanding and Developing a Biblical View of Life, Biblical Framework Counselling Basic Training Course, Marriage and Family Basic Training Course, The Dynamics of Biblical Counselling, Common Issues We Face in Life, Biblical Counselling Practicum, and Every Christian a Counsellor. He and his wife, Venessa, have 2 children and 4 grandchildren. George Scipione is a member and former president of the Association of Certified Biblical Counsellors (ACBC), for which he also is a member of the Academy, a Supervising Fellow, and a Board Member. 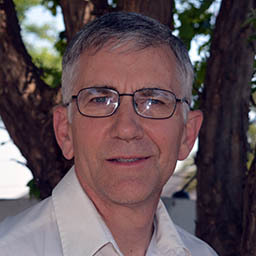 Dr. Scipione has an BA in History from Temple University in Philadelphia, Pennsylvania, a B. Div from Westminster Theological Seminary in Glenside, Pennsylvania, an MA in Psychology from Temple University, a M. Th in New Testament from Westminster Theological Seminary, a PhD in Biblical Counselling from Whitefield Theological Seminary in Lakeland, Florida and a D. Min from Westminster Theological Seminary; Westminster Theological Seminary in Escondido, California and Reformed Presbyterian Theological Seminary in Pittsburgh, Pennsylvania. Dr. Scipione has been a minister in the Orthodox Presbyterian Church since 1974 and has served on the Ministerial Training Committee. He has served on the pastoral staff at Calvary Community Orthodox Presbyterian Church and Bayview Orthodox Presbyterian Church. He has also served as an Evangelist/Church Planter for Covenant Community Orthodox Presbyterian Church. 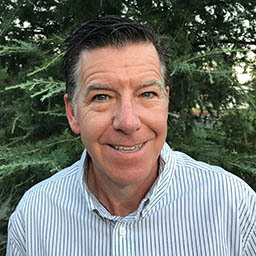 Dr. Scipione’s administrative credentials include his being the Director of the Christian Counselling and Educational Foundation (CCEF) as well as at the Institute for Biblical Counselling and Discipleship in San Diego, California. 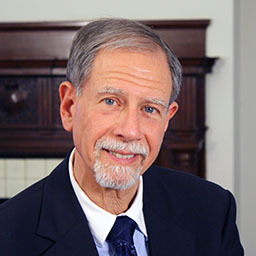 Dr. Scipione currently serves as the Director of the Biblical Counselling Institute of Reformed Presbyterian Theological Seminary in Pittsburgh, Pennsylvania. Dr. Scipione’s teaching credentials include being the Professor of Practical Theology at Westminster Theological Seminary as well as at Reformed Presbyterian Theological Seminary. He has had visiting professorships at various Theological Colleges and Graduate Schools and Pastors Conferences in Africa (Uganda), Asia (Vietnam), Europe (Czech Republic), North America (Canada, Mexico, USA) and South America (Brazil, Suriname, Trinidad, Venezuela). Dr. Scipione has contributed to 51 different publications or products including the Journal of Pastoral Practice, The Biblical Counsellor, The Sufficient Word, The Journal of Modern Ministry, and the Journal of Biblical Ethics in Medicine. George and his wife, Eileen were married in 1972 and they have 5 children and 2 grandchildren. 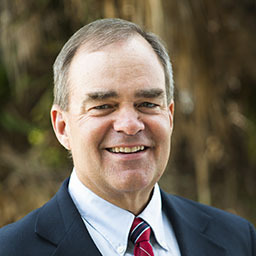 Edward Wilde received his JD from the University of San Diego in San Diego, California and his MA in Biblical Counselling from The Master’s University in Santa Clarita, California. Edward has been a member of the bar since 1989 and a professor at The Master’s University since 2002. He has been published in the Whittier Law Review, UCLA Entertainment Law Review, Intellectual Property Law Journal, and has written articles for the ABA, California State Bar Intellectual Property Bar Journal and The Los Angeles Daily Journal. He has taught Theology, Doctrine of the Church, Discipleship in the Local Church, Essential Qualities of a Biblical Counsellor, Business Law and Introduction to Psychology. 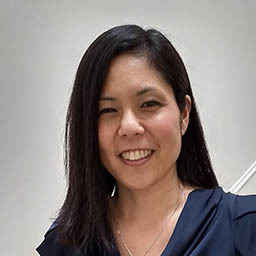 Jennifer Chen has a PsyD and MA in Clinical Psychology from Fuller Graduate School of Psychology in Berkeley, California, an MA in Marriage and Family Therapy from Azusa Pacific University in Azusa, California and is pursuing a MA in Biblical Counselling. She has taught at tertiary institutions for approximately 8 years and has be provided supervision in the degree qualifications of M. Div, D. Min and she has provided supervision as PsyD for 10+ years. She has received supervision as PsyD for 5+ years, MA in MFT for 2 years. She has written 10 DoE-accredited journal publications and 4 American Psychological Association journal articles. 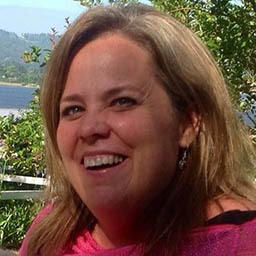 Beth de Swardt has a MA in Biblical Counselling and worked in campus ministry for 5 years after receiving her degree. She also taught women’s ministry classes in the Biblical Counselling Department of The Master’s University for 9 years. For many years, she was involved in helping to lead the Women’s Ministry at Calvary Bible Church in Burbank, California. She came to South Africa in 2005 to work with a ministry helping children with the HIV. In all of these positions, she was actively involved in teaching, counselling and discipling women. She met the love of her life, Sybrand de Swardt, in South Africa and they have been married since January 2009. God has blessed them with one little girl, Carol-Marie and an adopted son, Thomas-Wayne. She is a member of Lynnwood Baptist Church where her husband pastors and she is actively involved in ministry there. Tim Cantrell is Pastor/Teacher at Antioch Bible Church in Johannesburg, South Africa. He is a graduate of The Master’s University & Seminary along with Potchefstroom (Northwest) University. He is also involved with various initiatives in leadership training, church planting, church strengthening and has a passion for biblical counselling. 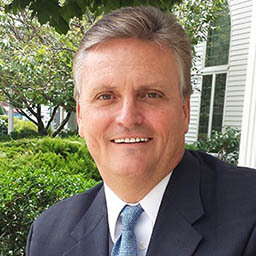 Glenn Dunn has been the Pastor at Cornerstone Bible Fellowship (CBF) in North Ridgeville, Ohio since 2004. Glenn has an BA in Communications with an emphasis in Public Relations from Cleveland State University in Cleveland, Ohio, a MA in Religious Education with an emphasis in Theological Studies from Grand Rapids Baptist Theological Seminary in Grand Rapids, Michigan and he is currently pursuing a D. EdMin in Biblical Counselling through Southern Baptist Theological Seminary in Louisville, Kentucky. Glenn has been an ACBC Certified Biblical Counsellor since 2002. He is the Founder, Board Member and Instructor of the Biblical Counselling Institute (BCI) which was approved by ACBC in 2006 and established at CBF 2015. Glenn is also a plenary annual conference speaker, a workshop speaker and trainer of biblical counselling internationally in Trinidad, St. Lucia, Ukraine and Australia. He is a FIRE Executive Board Member (Fellowship of Reformed Evangelicals), FIRE Moderator, National and Regional FIRE Conference Speaker and GARBC National Conference Workshop Speaker. Glenn has been married for 27 years to his wife, Beth, and they have two children, Jack and Caroline. Martyn Beets is the Pastor of the Evangelies-Gereformeerde Kerk in Hermanus. He graduated from the Seminary of the Evangelies- Gereformeerde Kerk, he has completed a MA in Biblical Counselling at The Master’s Universiry and is currently busy with a PhD at North West University. Martyn has been practicing biblical counselling for the last 10 years as part of his ministry responsibilities and has presented family enrichment courses.